Camping in a tent on the side of a mountain at heights above 6,000 metres has a number of considerations to take into account. Selection of the site, safety from environmental factors, and of course, staying warm is paramount! 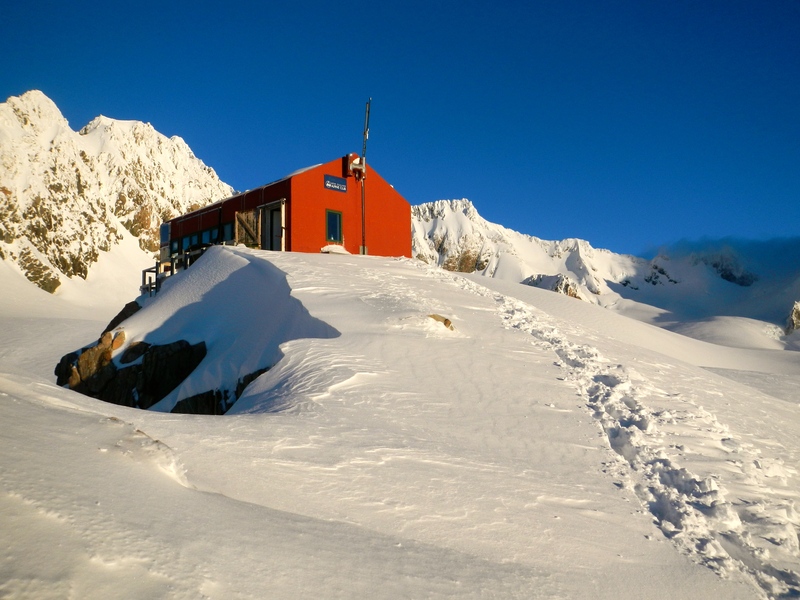 Much of my camping above the snow line has been in New Zealand’s mountain huts, and whilst it can still be cold, the huts provide protection from the elements. So up until now my sleeping bags have been sufficiently warm enough. But they are unlikely to provide the protection I need for this year’s two expeditions to Nepal which involve camping above 6,000 metres. So I have needed to add another sleeping to the many that already reside in our “gear room”. There are numerous choices available from the obvious manufacturers’ such as The North Face and other popular brands. The quality produced by North Face is first rate, and this is a piece of equipment that shouldn’t be driven by cost considerations. You want the best and it won’t necessarily be the cheapest! But I am very reluctant and discriminating when it comes to supporting these major brands due to the differential pricing they have in place. Dependent on which country you reside in it may cost more, despite the product being precisely the same. Try and buy a sleeping bag from the North Face in the United States and you find that it will direct you back to the Australian website and the price increases considerably. This is a hotly debated topic in Australia covering a range of major companies! I like to support local businesses and Australian manufacturers, whom are a dying breed mind you due to the high cost of producing anything in Australia, but a company I have supported many times is One Planet. One Planet is an Australian based manufacturer of sleeping bags of extremely high quality and I have used and tested them on my mountaineering trips to New Zealand’s Southern Alps. Today I took delivery of this important piece of equipment, which came at a cost far less than the equivalent from the major global brands here in Australia. Hey, I can’t wait to be wrapped up all snuggly and warm inside it on a Himalayan mountain! I LOVE sleeping in my sleeping bag and understand your desire to get exactly the right bag. Great to know that you have home grown options! I have been away, it’s good to see you and hear about your trip! Would that company send to the USA? I just bought a new sleeping bag too! It took me a few trips to the outdoors shop to decide which one was best. I needed one that’s small enough to pack in my rucksack, but warm enough for Alaskan summer nights. I guess you don’t know if you’ve made the right choice until you need to use it! Sound like your on the board of the company Baz. Love hearing about great customer service. May your new sleeping bag keep you safe and warm!